Sean & Andy joined by special guest Dj Dave Edwards ( Sidewinder). 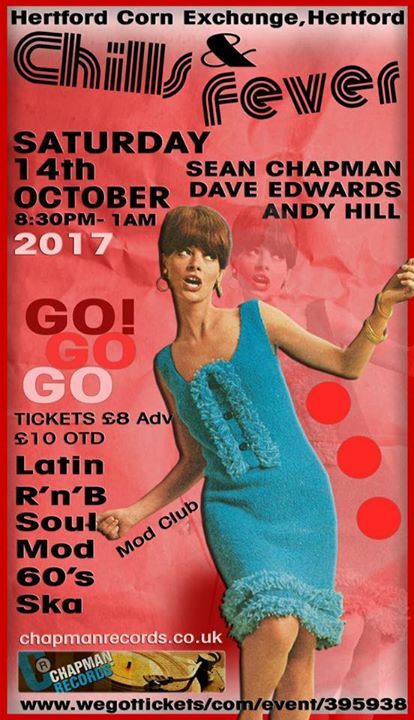 Tickets on sale now £8 adv tickets, or £10 otd…. Or, pm Andy Hill, Sean Chapman or myself. Andy and I can post out to you if you send us a sae and cheque. Cinnabar, 88-96 Fore Street Hertford. Right opposite the Corn Exchange.!!! © 2017, Jayne Thomas. All rights reserved.